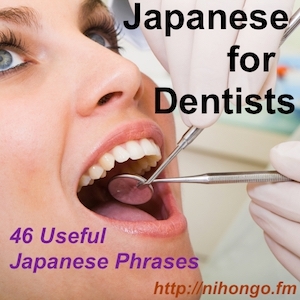 ”Communicating At the Dentist in Japanese" was co-written with 3 Japanese dentists and includes 46 useful phrases Japanese speaking dentists and English speaking patients can use for smoother visits to the dentist's office. Great for any English speaking patient planning to visit a Japanese dentist OR English speaking dentist working with Japanese patients. This course is designed to help with fluency and clear Japanese pronunciation.